It’s finally reached that time of year where, in the midst of all our university work, the readers amongst us are craving something light and fun. 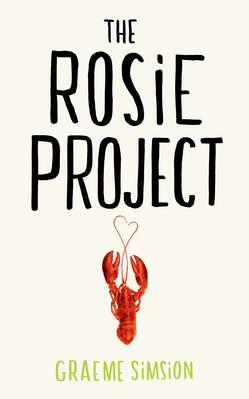 I would definitely recommend The Rosie Project by Graeme Simsion to you, and I’m about to tell you why. The novel focuses on Don Tillman, a genius in the field of genetics, but he’s having a hard time finding a lady to pass on his own genes with. So he ever so cleverly devises The Wife Project: where he attempts to find a wife through having women fill out a questionnaire (apparently Don’s never heard of Tinder). He believes his ideal wife will be eloquent, punctual and practical. And as with any rom-com novel: Enter Rosie Jarman. She is NONE of these things; in fact she is almost the complete antithesis to what Don is looking for. But Rosie’s not interested in finding romance, she’s intent on finding her Dad and so with Don’s help they create The Father Project (Don appears to lack an ability for naming plans well). Their journey takes them across the globe and an unlikely comradely is formed which leads Don to question whether the right love is the one that looks good on paper or not. What made this novel for me was the writing. Don’s an atypical protagonist, and one I honestly could not get enough of. It’s not confirmed in the novel, but it can be inferred that Don is on the autistic spectrum. However, it’s the way the novel deals with this that makes it so endearing and a joy to read. The story is told from Don’s perspective and it’s well written; it’s concise and orderly, reflective of Don himself. It doesn’t reduce him to this autistic characteristic; in fact it never even fully clarifies it. Don’s shown to be a lovable character, and although he can only count on one hand the people he thinks care about him, he’s actually well loved by those who know him well. It doesn’t pander to any stereotype and keeps Don as an individual, which I found refreshing. Rosie herself is also compelling, and she definitely gives Don a smack up the back of the head when he needs it. She’s fiery, she’s funny and the reader can’t help but love her. They are well matched, making their friendship not only engaging but also hilarious to read about. The book has a great deal of hilarity in it; some moments are small and make you smile, and there are others I outright laughed at – which earned me a few unhappy glances on my commute home, oops.